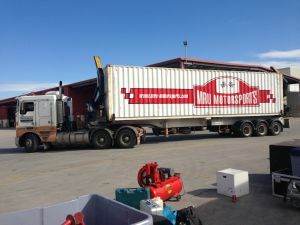 We handle not only international shipments but the local Australian transport as well. Boats and yachts don’t only need specialised international transport they also need specialised road transport. We only use reliable and proven transport companies. We also utilise Rail & Sea-freight to transport boats and yachts internationally. 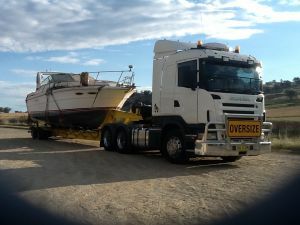 We can handle oversized boats and yachts whether it’s over width or height, requires a pilot vehicle, and needs a low loader. We also handle container transport for our import and export customers using table-top, tilt tray, tow trucks, hiabs, lowloaders and side-loader trucks. We have customs bond and quarantine facility is each of Australia’s major ports to unpack and inspect any used cars, yachts or boats imported into Australia. ***A combination of Towing, Trucking Rates and Sea-freight Services are Available. Click on the following link to read more on boat importing process. Please don’t hesitate to contact us with your boat transport or yacht transport enquiries today!